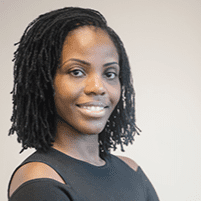 Dr. Ife Rodney always appreciates feedback from her valued patients. To date, we’re thrilled to have collected 48 reviews with an average rating of 4.85 out of 5 stars. Please read what others are saying about Dr. Ife Rodney below, and as always, we would love to collect your feedback. Very friendly and warm staff. Dr Rodney makes you feel at ease immediately. This was my first time at Dr. Rodney's office. The staff was very friendly and helpful. Dr. Rodney was very helpful with my condition. I will definitely visit this location again and refer friends and family to her. Really enjoyed my visit to Dr.Ife. She answered ALL my questions and then some putting me at ease. Not to mention she has a great personality. I'm just glad I found a dermatologist that actually understands my skin. A very personable and friendly experience. My face is clearer than before. I received a facial peel and thought after the appointment, like "is this it? really?? ...thinking nothing would happen, because the appointment was so quick.. but then my skin started its peeling process like two days later, and now my skin is much brighter and better without irritation. My skin is rejuvenated. I wear less makeup than before.. It's actually worth it, and I will be back soon. I don't usually take the time to write reviews for services like I should, but I ran to write this one. Dermatologist Ife Rodney, MD is superstar! First of all, her practice is state-of-the-art with a cozy, modern, boutique-styled design, so you don't feel like you're in a doctor's office, per se. Everything is paperless. Check-in, payments, prescriptions, etc. are all done electronically, i.e. with iPads. The pinnacle of it all, is Dr. Rodney's bedside manner, depth & breath of knowledge. I never had dermatological medical issues before, but I did not hesitate to contact Dr. Rodney. Having shared in our pre-medical studies together and knowing that she effortlessly led the class, it was a no-brainer! Her brilliance has carried-over in practice and she confidently diagnosed my issue straight away upon sight. I even opted to take an aesthetic treatment while I was there. Maybe it's just me, but when dealing with issues of appearance and aesthetics, I want my doctor to be clinically sound but to also look the part & Dr. Rodney looks ageless! If you struggle with dermatological issues and you're located, especially, in Maryland, District of Columbia, Virginia, Delaware, Pennsylvania or West Virginia, your first stop should be Dr. Rodney, it will be well worth the trip! I can't wait for her office to open in Maple Lawn, Howard County, Fulton, Maryland. I would highly recommend Dr Rodney to family and friends. She has excellent chairside manners and is very thorough with her examination. I have gone to Dr. Rodney's office since last year. Each time that I leave her office, I know that she has resolved my problem after explaining what my options are. I've never felt that she was rushing me, no matter how rushed she may have been. I remain impressed with her skill set and appreciate her staff who are always very friendly and helpful. Dr. Rodney is awesome, first visit for myself and I’m very pleased. The staff was friendly and the office is contemporary. I'll recommend Dr. Rodney to anyone. Dr Rodney was very patient and kind. I felt like I was truly listened to.